Majekodunmi Fasheke, popularly known as Majek Fashek, is a Nigerian reggae singer-songwriter and guitarist. In his homeland he is best known for the 1988 album Prisoner of Conscience which included the single “Send Down the Rain”, winning him several awards. 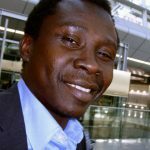 Also known as The Rainmaker, he has also worked with various artists worldwide including Tracy Chapman, Jimmy Cliff, Michael Jackson, Snoop Dogg, and Beyoncé. Fashek was born in Benin City to an Edo mother and a Yoruba father, but identifies mainly with his Benin roots. Various translations of his name Fasheke (Ifa-kii-she-eke) include “high priest who does not lie”, “powers of miracles” and “(system or medium of) divination does not lie” His real birth date is not known as both parents gave him contradicting months, and he would later adopt his musical hero Bob Marley‘s birthday – 6 February – as his own. After his parents separated he lived in Lagos with his father, a school principal who died when Fashek was ten; the latter moved back to Benin City with his mother, and soon joined the choir in his local Aladura church with his cousin future bandmate Amos McRoy Gregg and learned to play the trumpet and guitar whilst composing songs for the choir. In the early eighties Fashek, who at the time went by the stage name Rajesh Kanal, joined the group Jastix with McRoy Gregg, and lead singer Black Rice. They were best known as the in-house band on the show Music Panorama on NTA Benin, and toured with fellow reggae group The Mandators. Jastix were also session musicians for upcoming reggae singer Edi Rasta, who would later be known as Evi-Edna Ogholi. 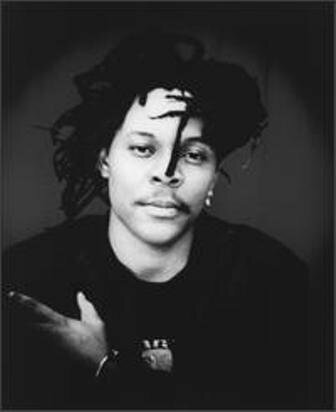 In 1988, shortly after Jastix disbanded Fashek, who now used the name Majek Fashek, signed with Tabansi Records and began a solo career by releasing the album Prisoner of Conscience and quickly became Nigeria’s top reggae artist after the song “Send Down The Rain” became the most popular song of the year, and in 1989 he won four PMAN awards which included “Song of the Year”, “Album of the Year”, and “Reggae Artist of the Year”. Fashek’s next album was I&I Experience which was released in late 1989 under the Tabansi label. After leaving Tabansi Records, he was signed to CBS Nigeria in the early 1990s and released So Long Too Long. In 1990 he was signed to Interscope Records and released the critically acclaimed album Spirit Of Love, produced by “Little Steven” Van Zandt. In 1992, he appeared on Late Night with David Letterman in support of his new 1991 album, and performed the song “So Long Too Long” for the television audience. Flame Tree released The Best of Majek Fashek in 1994. He was later dropped by Interscope before moving to Mango, a division of Island Records, as it was more accustomed to marketing reggae internationally. His first album for the company included a cover version of Bob Marley‘s “Redemption Song”. He has recorded several albums for various labels since, including Rainmaker for Tuff Gong (1997) and Little Patience for Coral (2004). Fashek was married to Rita Fashek who inspired the song “Without You”; the couple had four children together, but have since divorced. In 2015, it was revealed that Fashek was bankrupt and battling drug addiction. After admitting that he needed help, he was admitted into a drug rehabilitation centre in Abujawhere he is currently recovering.